I am delighted to see that Sir Andrew Dilnot, chair of the UK Statistics Authority, has written to Sheila Gilmore MP in response to her complaint to the authority over the Work Capability Assessment statistics. This follows a great deal of intensive research in to the figures on the ilegal/mylegal forums to which Sheila Gilmore’s attention has been drawn and which she has acknowledged. 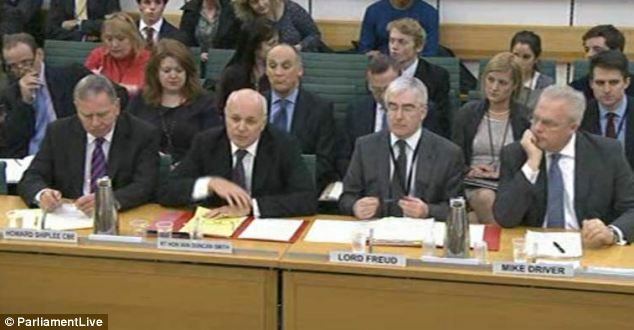 Her unstinting challenge of the DWP in her role on the Parliamentary select committee over the dreaded Employment & Support Allowance along with many other increasingly alarming elements of welfare reform are to be applauded. And here follows Dilnot’s reply, to view it all use this link….. In my view we are only scratching the surface with a much deeper failing in these statistics which has yet to emerge. What particularly galls me is how the media as well as government and its ministers have continually based all their (mis) reporting on the back of figures which it is becoming more and more obvious were flawed from the outset. The error which emerges in this instance is one where the DWP are effectively concealing their own ‘overturns’ within a set of statistics which have been misrepresented as ones subject to ‘initial assessment’. The effect of this is (1) to hide the true initial results and (2) to keep from the public the true number of decisions which the DWP considers to be erroneous at the initial stage. My bigger concern is what these figures hide; the true number of claimants who have appealed. Figures from Her Majesties Tribunals, Courts and Tribunals Service confirm that over 1 million Employment & Support Allowance appeals have been lodged with Tribunals, many more will be waiting for action at the DWP and no clear figures have yet been made available making it clear as to how many internal reconsiderations by the DWP have led to Work Capability Assessment results being overturned. More ‘sick’ propaganda via BBC hereby corrected…. I completely agree with Mike Sivier of Vox Political who accuses the “BBC of being a mouthpiece for the Tory party”, he’s wisely encouraging people to write in and complain. It’s good advice to those who are incensed by the right wing media’s continual portrayal of everyone on benefits as low life scum. So you know what you have to do; complain in your droves! What the BBC won’t tell you is that over 5 million of you have been subjected to the humiliating & Support Allowance regime in terms of original claims, reassessments and transfers from existing benefits. Whilst the overall claimant count hovers around 2.5 million, lightning has a nasty habit of striking more than once and thousands of you will have been repeatedly struck by the absolute chaos which surrounds the DWP’s handling of this particular benefit. So hopefully there should be no shortage of complaints to the BBC. For some extraordinary reason the DWP and media have an almost obsession with ‘new claims’ for the dreaded Employment & Support Allowance. On nearly every statistical release the accent is principally on new claims, it’s not hard to understand why; they invariably provide the public with more sensationalist headlines over ‘millions being found fit for work or ‘closing their claims without an assessment’ (by the awful Atos ‘Healthcare’ who conduct the controversial examinations under £100 million contracts with the DWP). Here’s what they don’t tell you…. leaving out claimant success rates of up to 88%. Why leave out 88% claimant success rates? In excess of 2.3 million incapacity benefit cases (each one yielding a result) being tested under the much stricter ‘Employment & Support Allowance’ regime and those who are ‘examined’ on a second, third or even fourth occasion are being completely left out of the figures. Had the BBC fully reported the facts, they would have had to go in to the nasty truth which gets in the way of a good story. They could have told you all how in the six months between October 2012 and May 2013 an average of 83% of 1,078,200 incapacity claimants were passing their assessments and 88% of those 1,332,300 ‘repeatedly assessed’ were re-qualifying for the allowance. But the Beeb buried the good news. Instead they chose to home in only new claimants who score a lower ‘pass’ rate at what the DWP incorrectly cite as an ‘initial’ assessment’. The BBC cites an average of 32% of ‘new applicants’ being found ‘fit for work’ between 2008 and 2013. I’m not sure where the BBC get the figure from as it’s more correctly an average of 46% for new claimants being found ‘fit for work’ with 54% qualifying for the allowance following assessment. The figure rises to 60% when we look at the last six months to May 2013, I’ll come back to my reservations over these figures later on in this thread. The BBC headlines are meaningless unless considered with the context of all the available facts. It just looks like more of the same propaganda aimed at making us think people are coming off benefits and back in the work market. Why doesn’t the BBC challenge the bigger picture? Don’t they possess a calculator? Let me show you what everyone out there seems to be missing, you’ll need to follow something which sadly seems too challenging for the BBC…. The BBC article tells us that very close to 2 million people have come off the sick either as a result of being found ‘fit for work’ or ‘closing their claims before being assessed’. The clear intention of the BBC is to infer 2 million people should not have been claiming the sick and should instead be in the labour market, meaning either looking for work or in work. Why didn’t the BBC give us the figure for ALL claimants? I’d suggest; because they knew it would open up a can of worms for a government which they continually support with misleading articles when it comes to reporting on those ‘on the sick’. This infers that the Coalition has found 1.85 million claimants ready and able to enter the labour market. Claimants in this position would generally claim Jobseeker’s Allowance or attempt to find work, (some will however neither claim or work). 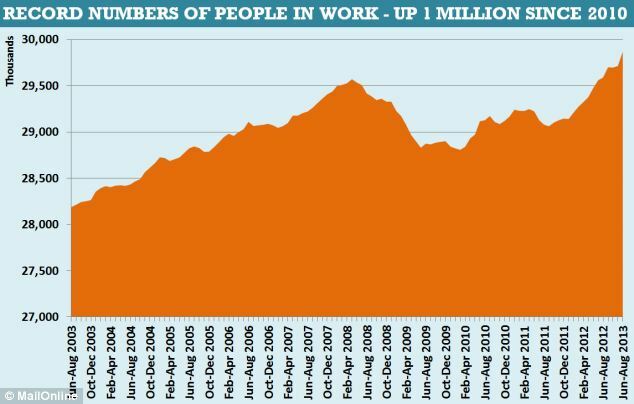 When it comes to work bear in mind that the Coalition claim to have found ‘1 million extra jobs’, it’s not enough to give everyone seemingly ‘coming off the sick’ a position in employment – it’s 856,100 short. But remember, it’s NOT just the sick who are looking for work, we also need to consider other working age groups as others will potentially have to position themselves towards the labour market after coming off working age benefits, we also need to consider how many of our 1.85 million may perhaps claim another working age benefit. The way we do is to check the DWP cumulative figures for ALL working age benefits and make a comparison between May 2010 and May 2013. Now let’s look at the difference within the same working age benefits by comparing 2010 against 2013…. These revealing figures show how the claimant count has risen or fallen in terms of actual claimant numbers recorded by the DWP unlike the ONS figures who collate the data using a ‘labour market survey’. That’s how the ONS can provide more up to date figures than the DWP, the DWP work at a much slower pace and can only count claimants up to May 2013. None the less the DWP claimant count is the one which most accurately informs us how many claimants are within the DWP system. Remember these are the actual claimant count figures derived from the DWP and therefore hard for anyone to refute, they are designated a reliable National statistic and are not based on surveys but on an actual measure of those claiming benefits. From the facts since May 2010? Well, despite what the BBC tell you about nearly 2 million being identified as ready to hit the labour markets, the reality is they have under-quoted the overall figure, it’s actually 1,856,100 found either ‘fit for work’ or having ‘closed their claims before assessment’. There’s no way 1.8 million claimants have somehow magically disappeared from the incapacity claim count (including ESA) because the DWP’s own figures confirm the overall numbers have only reduced by 156,630 since May 2010; it’s all there in black and white. The BBC have failed to look at whether the numbers being found fit for work or closing their claims has materially made any difference to the claimant count; in short there is very little impact upon the overall numbers of claimants. The Government’s claims to have found ‘1 million extra jobs’ are pretty meaningless too. Similarly, many thousands of claimants leave Employment & Support Allowance each month, the quarterly figures for May 2013 amount to 153,360 coming off benefit, some 175,810 came off other incapacity benefits in the same quarter, the number of claimants coming off Income Support amounted to 150,130 Add the whole lot together and you can see how ‘1 million extra jobs’ isn’t going to go far. What we really need to know is how long these jobs last and exactly which groups of people are filling them. What the BBC fails to address in their meaningless drivel over 1 million being found ‘fit for work’ and a further 1 million closing their claim before assessment is what happens to these claimants afterwards. Let’s also not forget the massive numbers of job losses in the public sector under the coalition, the GMB Union claim that over 631,000 job losses have been dished out under the Coalition. We also have, according to Thomson Reuters a 1.1 million increase in the population aged 16 and over , what few people realise is that when the number of people in the labour market increases, exactly the same number of unemployed will result in a reduction in the unemployment level simply because it’s a smaller percentage of a bigger number. There are all kinds of factors which factor in to an increase in the working age population, not least that fewer people can afford to retire as well as changes in the age at which people can retire. So there you have it, the BBC headlines are very much a ‘non story’ without all the peripheral facts which they so conveniently omit to mention. In my next post, I’ll explain what closing a claim without an assessment really means, I’ll then go on and explain why the DWP’s latest work assessment figures continued to be riddled with flaws. Yet another Daily Mail FAIL!! What is it with these journalists from the Daily Mail? Why can’t they ever get anything right when it comes to reporting something factual over the government’s callous welfare reforms. Here’s a really ‘slack’ piece of journalism from one of the Daily Mail’s finest, strangely enough he goes by the name of James Slack; slack by name slack by nature I’d say. If Slack had checked his facts he would see that the Employment & Support Allowance here is entirely separate to the incapacity benefits found here. If one had been renamed as the other the two would not continue to exist. In reality Slack is miles off the mark with this little gem. In actual fact only 700,200 incapacity benefit claimants have been tested under the much stricter Employment & Support Allowance rules of which 496,800 (71%) were found to be perfectly entitled to the allowance. the percentage figure varies each month – figures of 78% being recorded in October 2010, 77% in March 2011 and 75% in July 2012. 290,200 were deemed chronically incapacitated and incapable of any work related activity whatsoever and 206,600 were deemed to have a severe limitation such that they qualified for ‘support’ from the government in helping them work towards a return to work – sadly very few end up getting the Support because the DWP is seemingly too busy feeding the press with the kind of garbage which incompetent journalists like Slack writes for the Daily Fail. 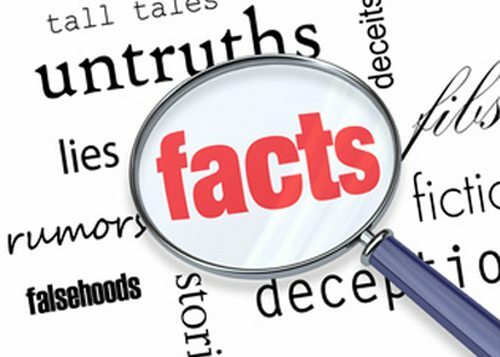 In actual fact the figure relating to incapacity claimants, who for any number or reasons dropped their claim, is nowhere near 878,300 – it is 24,700 as per the DWP’s most up to date figures of August 2012. In actual fact the DWP under it’s private and ‘commercially sensitive’contracting arrangements with Atos Healthcare recruits an abundance of nurses as well as doctors and the chances of everyone being tested by a fully qualified doctor is zero. How on earth can Slack have had access to what should be highly confidential medical records relating to 30 individual assessments to know precisely what conditions they were citing as their one and only ground for claiming they were unfit for employment? It bemuses me how the Daily Mail can make so much fuss about footballer Wayne Rooney’s £130,000 a week sprained sprained ankle with no reference or inference to the possibility of him ‘skiving’. I also note the gutter press draws attention in previous articles to the tragedy of a 31 year old woman who committed suicide over what they describe as a ‘minor skin condition. The article describes how the woman’s mental health deteriorated to the point where, after two failed attempts, she sadly took her own life by jumping off the Humber Bridge. “This map of Britain reveals the ‘workshy’ spots around the country where people claiming incapacity benefit claimants are actually fit enough to work. The Government introduced tough new health tests for those who claimed to be too unwell to get back into employment two years ago. What we need people to do is contact their local or representative peer in the House of Lords by Monday April 23rd when the legal aid (LASPO) bill goes back to the House of Lords. It’s also worth contacting your MP as they can speak with Peers. The best links we can find are here..
It’s really easy via the ‘write to them’ link, just enter in your area (Town or County) and it will locate you a ‘peer’ in the House of Lords. We need as many Peers as possible to be contacted by Monday. Don’t worry too much about the legal aid bill not being their specialist area or which political party they represent (some ‘cross bench’ peers belong to no particular party). The aim is to contact them to show how much it matters to you. The site helps you draft your email (you could use my template in next post) or you can write your own. When its ready just copy (by pressing ‘CTRL’ and ‘C’ on your keyboard) then paste into the dialogue box on the ‘write to them’ site’ (by pressing ‘CTRL’ and ‘V’). If you need convincing that welfare benefit specialists don’t just fill in forms read this..
For the last 12 years many CAB and law centres have been funded by legal aid and some are very reliant on it because they specialise in areas of law like welfare benefits. The Government has voted to axe this funding which means around 135,000 people per year will no longer be able to get specialist help from paid professionals who win around 75% of their cases. For each case their organisation gets paid a fixed fee of just �150 regardless of how long it takes to complete. The Tribunals judiciary has predicted that the welfare reforms will result in over 2.5 million people appealing for their benefits between 2010 and 2015; the current figures are seeing a huge increase in appeals – the highest ever. Many people do not realise how vital this funding is to people, especially the disabled. Government has chosen to make savings of �16 million at a time when the need of this help could not be greater, they expect people to fight their cases on their own without help. The Lords have already voted heavily to keep this funding but government says no, they have asked the Lords’ to agree with them – you could make all the difference by persuading them to say ‘NO’. In a Nutshell: next round of legal aid amendments explained – act now to save legal aid! Here’s how Clarke’s proposals will affect many lives if the Government gets its way this Tuesday – you can kiss goodbye to legal aid for all this.. In summary – he’s gone against the Lords on almost everything with some tinkering to suit his government’s aims & a meaningless concession on Upper Tribunal & higher court work in welfare benefit cases which is unlikely to benefit advice agencies given the low number of cases when the bigger problem they face is helping clients with the tsunami of benefits appeals at First Tier level – set to increase to 644,000 appeals per year according to the Tribunal judiciary! YOU NEED TO ACT TODAY – TIME IS NOT ON OUR SIDE!